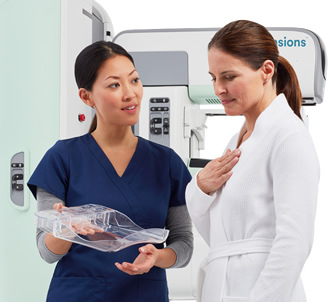 Radiology Associates of Venice, Englewood offers 3D Tomosynthesis with SmartCurve Mammography. 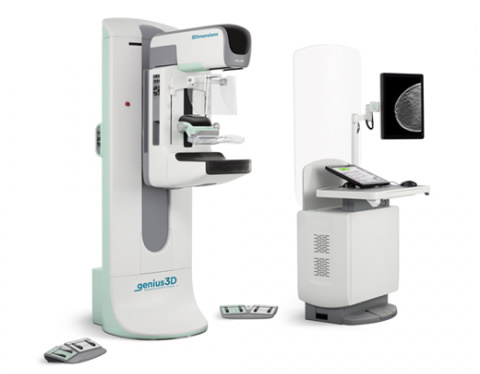 Breast tomosynthesis, also called three-dimensional (3-D) mammography and digital breast tomosynthesis (DBT), is an advanced form of breast imaging, or mammography, that uses a low-dose x-ray system and computer reconstructions to create three-dimensional images of the breasts. 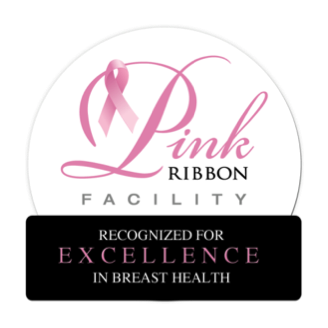 Breast tomosynthesis aids in the early detection and diagnosis of breast disease. 3D mammography is a new technology in the fight against breast cancer that allows doctors to examine your breast tissue one layer at a time. 3D mammography uses high-powered computing to convert digital breast images into a stack of very thin layers or “slices”- building what Is essentially a “3-dimensional mammogram”. A good analogy for 3D Mammography is like thinking of the pages in a book. If you look down at the cover you cannot see all of the pages – but when you open it up, you can go through the entire book page-by-page to see everything between the covers. 3D mammography is designed with the same concept in mind. Very low X-ray energy is used during the screening examination so your radiation exposure is below the FDA guidelines. Using 3D mammography and digital mammography together for screening has been proven to significantly reduce “call-backs” by 20-40%. In addition, 3D mammography finds cancer detection and a 40% increase in invasive cancer detection. 3D mammography may also be used during a diagnostic mammogram if you happen to be called back for this type of exam. Radiology Associates of Venice, and Englewood are the only facilitiesin the area that provides SmartCurve™ Breast Stabilization System. The SmartCurve™ system is available standard on Hologic’s new 3Dimensions™ mammography system and as an enhancement option to existing Hologic Selenia® Dimensions® systems. With pain being the number one complaint during mammograms, this fear of pain prevents many women from making regular breast imaging appointments a priority. Not only can this have a negative impact on patient volume and satisfaction scores, but it can put women at risk of a cancer being missed, or diagnosed at a more advanced stage. With improved comfort, the SmartCurve™ system was designed to address this challenge and provide a better patient experience for women during their mammograms. Our Venice and Englewood Locations are the only facilities in the area that provide the SmartCurve™ Beast Stabilization System. For the month of October we are offering $89 Screening 3D Mammograms with SmartCurve™ Technology for NON-INSURED PATIENTS. A 3D mammography exam is very similar to a traditional mammogram. Just as with a digital mammogram, the technologist will position you, compress your breast under a paddle and take images from different angles. A 3D mammography exam may be used as a screening tool in conjunction with a traditional digital mammogram or may be used by itself for a diagnostic mammogram. During the 3D mammography part of the exam, the X-ray arm sweeps in A slight arc over the breast, taking multiple breast images in just seconds. Your doctor is then able to view your breast tissue in one millimeter layers. Instead of viewing all the complexities of your breast tissue in one flat image, the doctor can examine the tissue one page or “slice” at a time. There is no additional compression required with 3D mammography, and It only takes a few seconds longer for each view. The technologist will view the images at their computer workstation to ensure they have captured adequate images for review by a radiologist, who studies them and reports results to either your physician or directly to you. Doctors and scientists agree that early detection is the best defense against breast cancer. Successful treatment and survival rates for breast cancers. If we find breast cancer early, before it has spread to lymph nodes, the five-year survival rate is almost 100 percent. Until now, the best way to do that has been with digital mammography. While digital mammography is still one of the most advanced technologies available today, it is only a 2-dimensional picture of the breast. The breast is a 3-dimensional object composed of different structures, such as blood vessels, milk ducts, fat, and ligaments. All of these structures, which are located at different heights within the breast, can overlap and cause confusion when viewed as a 2-dimensional, flat image. This confusion of overlapping tissue is a leading reason why small breast cancers may be missed and normal tissue may appear abnormal, leading to unnecessary call backs. Hologic- a world leader in digital mammography- has developed a new technology called 3D mammography (also called breast tomosynthesis), which Has been shown in clinical studies to be superior to digital mammography.